This is a transcript of a “Sages and Stages” forum sponsored by the New York Preservation Archive Project in 2004, featuring longtime Union Square preservation activist Jack Taylor in conversation with Landmark West! executive director Kate Wood. Drawing on his experiences from a 20-year advocacy career which began with protests over the loss of Lüchow’s Restaurant, Taylor offers his observations on successful preservation advocacy tactics, touching on the roles played by media coverage, public protests, not-for-profit organizations, and elected officials. Q3: Another sage in this room wrote, “Preservation in New York is a continuum. Individuals may change, specific issues come and go, faces change. How can we discover these links between them? This series was designed to address just that question. There are those who first set the bar in preservation, and the new faces today, all done under the watchful eyes of an equally seasoned host—our Charlie Rose—who will move the discussion forward. You and I are listeners. After this discussion there will be a Q&A, and then more informal exchange can continue over wine and cheese. So, this is our format. For today’s session, the name is “Preservation Advocacy,” and I’m here to introduce our host, Thom Bess, who will take the reins. Thom Bess, community activist and former executive director of Landmarks Harlem, works to protect an area of the city that the Landmarks [Preservation] Commission [LPC] often overlooks in its designation process. In a 1998 article, Mr. Bess reflected, “To have a place like the West Side landmarked from 67th Street to 96th Street, and not include areas like Harlem is criminal. There are entire blocks in Harlem that are so significant in the creation of jazz, and the development of Harlem as the black cultural center of the world.” Mr. Bess was instrumental in the 1980 designation of the Longwood Historic District in the Bronx, and we are pleased to have him as our host. Q2: Thank you Felicia. My role today is—I feel quite honored to be able to introduce to you Mr. Jack Taylor, who will have a dialogue with Miss Kate Wood. We know that Kate comes to us as executive director of Landmark West! We know that Landmark West!’s heritage is that it has protected 2,600 buildings on the West Side. To get them designated was a Herculean task. When Kate came, she picked up the gavel and marched forward valiantly to continue to preserve that wonderful section of our city. I might also add that it was because of Landmark West! That [New York] State Senator David Paterson felt that Landmarks Harlem should be formed—so that we would also extend that protection. However, the clashes with the Landmarks Preservation Commission did not bear fruit. We did not get the broad stroke of designation. Kate, however, came in. She has continued fighting, as I mentioned earlier. What she’s now working on—that I think most of us who are online are very much aware of—she’s fighting to save the [Edward] Durell Stone building, 2 Columbus Circle. It is a fight that, I assume, is still going on? Now. Jack Taylor. Jack is a phenomenon, by any and every stretch of the imagination. He’s also a preservation pundit. Jack has been around as teacher, and as our conscience, for many of us. Since I was with the Historic District Council [HDC], and that was in the early ’80s. Jack also, as we know, is a [HDC] Landmarks Lion. He has defended the architectural heritage of neighborhoods throughout New York City. Jack is Herculean in his efforts in that area. His eloquent prose frequently appears in the editorial pages of New York City’s leading newspapers, where he continues to raise awareness of and generates support for preservation efforts. Not afraid to cross swords when necessary, he is recognized as one of the city’s leading preservation advocates. As president of the Drive to Protect the Ladies’ Mile District, Mr. Taylor fought for the designation of more than four hundred properties located on parts of twenty-eight blocks along the Avenue of the Americas, Fifth Avenue and Broadway [Avenue]. Opponents of the proposed Ladies’ Mile Historic District argued that not all the buildings in this area were of landmark quality. Mr. Taylor, however, successfully argued that the area was, and I quote, “A magnificent universe in miniature. To designate piecemeal would be a travesty, for the gaps and inconsequential structures are negligible.” As a result of his efforts—and those of the seven organizations that united under the umbrella of the Drive to Protect the Ladies’ Mile District—spearheaded by, I will say, Margaret [Peg] Moore, Christabel Gough, and Anthony [Tony] C. Wood—the city designated much of the area a historic district in 1989. Today Mr. Taylor serves on the board of the Historic Districts Council, which in 1992 presented him with its annual Landmarks Lion Award. He is active in the historic preservation efforts of the Union Square Community Coalition, the Stuyvesant Park Neighborhood Association, and the Gramercy Park Block Association. He is a public member of Manhattan Community Boards, and I certainly applaud him for this—for Manhattan Community Boards 5 and 6. Anybody who can work with two community boards is, indeed, a Lion [laughs]. He is assigned to their landmarks committees, where he continues to work with the East Side Rezoning Alliance [ESRA], to promote responsible planning for the area from East 14th Street to East 59th Street, from Lexington Avenue to the East River. Having given you those introductory remarks, I now turn this over to Kate Wood, who will begin asking Mr. Taylor questions about his past, and his advocacy efforts on our behalf. Thank you. I want to start at the beginning, because it’s hard for someone like me to fathom a preservation role in New York City that didn’t involve Jack Taylor. When we met back in 1999, we were both working to try to save the same building, the Coogan Building, which was on Sixth Avenue and 26th Street. It was a designated landmark that had been de-designated, and so was then at risk. We lost that battle. But at the time, as Thom said, I looked to you as someone who was a sage. A teacher and a conscience in that. I was surprised when we had a conversation not too long ago, to learn that you came to preservation relatively late, after having a life in a different field before that. That it wasn’t the demolition of Penn Station [Pennsylvania Station] in 1963 that inspired you to rush the barricades, but that you had your own Penn Station, your own, personal Penn Station, which was Lüchow’s. I wonder if you would tell us about that. What role did you play in that battle, and what you learned in the process? Taylor: Lüchow’s, if anybody here remembers it, had been in existence one hundred years at the time I realized, with others, that it was at risk. We formed an informal group, headed then by the Union Square Community Coalition, with a lot of help from a lady in this room, Christabel Gough, and decided that this should be something to save. I didn’t really know why at the time, I was that green, but it seemed to me that the [NY] Daily News—when it called it, “If Lüchow’s is not a landmark, you wonder what is.” That seemed to me to say it must be worth saving it if the Daily News could say that. Now what kind of landmark? Was it an architectural landmark? Was it a cultural landmark? Just what was it? It didn’t really matter to me then, because I didn’t know the ropes very much. But it just seemed to be something that the city of New York would be the worse without. Regardless of the food, which had plummeted in the meantime [laughs]. It was just the philosophy of the thing. It was then that I first met Tony Wood, who’s the head of the New York Preservation Archive Project. I think it was because of a protest we were staging in front of Lüchow’s. Looking back on it all, and realizing what’s at risk now at Union Square—which I’ll go into later, if you’ll permit me—it seemed to be appropriate that one should demonstrate and protest at Lüchow’s. Just a hop, skip and jump from Union Square, famous for such activities. The long and short of it was that, in his theatrical workshop, he made us placards and signs. They looked terribly professional, to somebody who had never been in anything like that at all. He spoke, very eloquently, and we attracted some elected officials from the area. If your question—which I now forget—was [laughs] how did it all start? That’s how it all started for me. Although I’m a born and bred Manhattanite, strangely enough. So it wasn’t as if I hadn’t been to Lüchow’s a thousand times, over many years. I was born in Greenwich Village, and I got as far as 18th Street, in all those years. I was pretty close to Lüchow’s all those years. It was just a remarkable place. Q1: Looking back—the Lüchow’s effort was not ultimately successful. The building was lost. What was it, looking back—was there anything that could have been done to save that building? Did it prevent other buildings from being lost in quite the same way? Was it a sacrificial lamb? Was there anything positive that came out of that, or was it just one of those losses that you’ll always regret. Taylor: There was a lot of positive for me, because it introduced me to the preservation movement, and to a lot of wonderful people in it. Whom I never even heard of, in spite of their fame, many of them. It’s the old story, if I knew then what I know now, perhaps I wouldn’t have been quite that outraged. But to give credit where it’s due to the Landmarks Commission, at least the chairman at the time did give Lüchow’s two designation public hearings. One inside, one outside, and that’s more than we can say for the current chair over 2 Columbus Circle. Now, having said all that, of course, it took me a long time to realize that this was mere shadow play. That the signs were on the wall long before that—in my view, because of the City Planning Department’s [New York City Department of City Planning] efforts to rezone 14th Street. Had I known then that the [New York City] Planning Commission and the Landmarks Commission would never cross swords over this, I would have realized that, in spite of all of our efforts, Lüchow’s was doomed. I’m sure that’s not an unusual situation, but it was a first for me. Q1: It didn’t sour you on the whole advocacy project. In your mind, what is preservation advocacy? What special role do we, as advocates, play in the whole planning process? Why is it something that you’ve stayed so persistent on, despite various losses? Taylor: Yes, and there have been others, too. Well, for one thing—and to me, this is still true—arm yourself with a lot of 37-cent stamps. Just for starters—and hope they’re still making stamps. I’m still not automated. I’m still on an antique, British, Olivetti, non-electric, manual—which I plan to get designated one day [laughter]. Then there is the thing called the telephone—not one of these throwaway things. I don’t need an electric phone—a cell phone. I finally bought one a year or so ago, then made a motor trip to the Rocky Mountains and back. The damned cell phone never worked anywhere. I threw it into the Mississippi [River] [laughs]. Q1: No, no. What you’re saying is—what I’m hearing is that, essentially, advocacy is getting the word out, and getting the word out to the right people. Whether it’s the New York Times, because they’ll do an article that will highlight the issue, or connecting with someone like Joe Papp or Tony Wood—or the people who can. It’s knowing who to call or who can send the typed message on the post-it. Taylor: In the Lüchow’s era, HDC was in short pants, maybe swaddling clothes. Now we have HDC, and Landmark West!, and Landmarks Harlem, and who knows how many preservation groups to help. Maybe some of them existed when Lüchow’s burst, but I really didn’t know anything about them. It was just something in my territory that I thought should somehow not be demolished. Then I learned, through Tony Wood and Christabel Gough, Ed [Edward] Kirkland, and a lot of people, how it all works, and how great contacts can be. We may be a bit inbred, preservationists, but we manage, I think, more and more, to get the word out. Most recently, as perhaps you all know, was it last Thursday, at the [New York] City Council? Last week—which, in the end, didn’t get much press, but I think it will. That certainly brought out a mob scene of people who wanted to take part in an investigation by the City Council of the workings of the Landmarks Commission. I don’t know how many of you were there. Some were, I’m sure. It was a sellout crowd, really standing room only. Even next door—even so overpopulated that one of the City Council members couldn’t get up to it, and was denied entry. It happened to be our local councilperson, I believe. Q1: I do want to get back to that, and get your take on that whole situation. But before we get away from Union Square, we were talking about getting the message out, and deciding exactly what that message is. I was reading over this, and it struck me that the Union Square controversy, which you can articulate much better than I can—it basically comes down to the significance of the site, as a historical site, where, protests and various other activities have taken place, and current efforts to “beautify” the space and transform it into something that the current mindset thinks is attractive and fits into the neighborhood. It’s a difficult preservation argument to make, because, so often, preservation and beauty are aligned with one another. But in this case, here’s a situation where the historical site is not necessarily beautiful. You’re taking a position that runs counter to what the partnership, the BID [Business Improvement District], for the park, wants to do. Taylor: It’s not just for the park, I might add. It’s quite a large area. Taylor: It’s right here. “Green trees.” If she’d just said “trees,” she wouldn’t have had egg on her face. But green trees—who could be against them? Q1: I’m wondering in a situation like that, the preservation argument is not always an easy argument to make. It relies on a lot of—there can be a certain level of sophistication, sometimes it’s very straightforward. But you’re fighting against other forces that, in the general public mindset, they may think, “Oh, well, why not prettify the park?” It’s a different point that you’re trying to make. How do you articulate that? Taylor: Well, it isn’t easy in this case—and I don’t mind being called a rigid preservationist. Actually, I’ve had some fan mail—and I have no idea who they are—and they say, “You should be rigid about this.” In this case, yes, it’s a difficult advocacy nut to crack, in a way. The long and short of it all is that the local Business Improvement District for the Union Square area—which has now renamed itself the Union Square Partnership. Well, they’re entitled to do that, except it seemed to some of us deliberately done to confuse us with us, the Union Square Community Coalition. The reason, I’m sure, the Times rose to the bait on this story was because of the word “protest.” We’d just been through the Republican convention and all that protesting. Protest was—and still is, I think—a very hot button of the day. The Times picked that up, and the next thing I knew—literally four hours after I had called the editor of the City section. She said, “I’ll have a reporter call you,” and he did, four hours later. By then it was a quarter to 9:00 at night, and he said, “I’ll meet you at Union Square tomorrow, at 10:00 A.M. It was pouring rain. I tried to explain to the reporter that there were many facets to the Union Square Partnership’s current proposals for, as you say, beautifying Union Square. One, the effort to enhance—that’s their buzzword—enhance the “great North Plaza,” where countless demonstrations, rallies, marches, parades, political and social activism of one kind or another, have taken place since the first Labor Day parade in 1882. But if the plan, the proposal to beautify it with trees—oh, those horrible things, trees—and shaded public seating in the form of bleacher-like constructions, plus repaving what is a perfectly good, just plain, old asphalt or macadam. It’s in bad shape, but it’s just a plain surface. One hundred thousand people would not appreciate stepping on a decorative, elaborate, new pavement there, which is what they’re planning. That’s only one of three main proposals that the bid has. The other is to turn the pavilion building—which is a nice little Palladian structure built in 1932—designed by a Parks Department [New York City Department of Parks and Recreation] architect whom I can’t remember the name of, and was there on the site of a building that’s always been on the site, almost since the beginning of Union Square itself, as a bandstand, or reviewing stand, with public toilets, of all things. Now the BID would like to restore it first, which is great, it needs it. They want to turn it into a very high-priced, white-tablecloth, destination restaurant, à la Tavern on the Green, perhaps. Huge Central Park, little tiny Union Square. They also have ideas for improving the playgrounds, which I would settle for in some way. But there are these three main features of the BID’s proposal. Q1: Which, on their face, all seem like public amenities. Q1: So that’s the challenge. How to balance that with the preservation approach, and make them understand where you’re coming from. Taylor: But the Times didn’t want to hear about the pavilion. They didn’t want to hear about the playground. The word “protest,” and what they were planning for the “greatest protest space in New York” is all they were interested in. They zeroed in on that—which is fine with me—in the article, to the exclusion of just about everything else. In my view, that was an advocacy ploy that worked. Mention the buzzword of the moment. Now what’s the buzzword at 2 Columbus Circle? Find one. Q1: What you’re talking about, really, leads into the next question. There are scores of different ways to go about any advocacy project. It’s a creative process, and you can’t necessarily apply something that worked in one thing to another situation, directly. You kind of have to adjust it. But we can always learn from the past. What, in your mind, are some of the more successful strategies that have been used—either case-specific, trying to save X building, or just in terms of the mode of communication with the press? Is it demonstrations on the street? Is it the letter-writing campaigns? What works? Taylor: It’s all of that, and more. The other disaster I got involved with was the Dvorak House. Which, to the [Landmarks Preservation] Commission’s credit, it did, indeed, designate. Then the City Council overturned the designation—but in that case, we pulled out all the stops we could think of. The musicians first, of course. They had concerts, free concerts, in St. George’s [Episcopal] Church, just across Stuyvesant Square, from where the Dvorak House was. We had walking tours. We had a good deal of press, both here and abroad. Laurie Beckelman the chair of the Landmarks Commission at the time, got a letter from the Archbishop of Prague [laughs]. That’s letter-writing that worked. Just pull out any stop you can think of. Your group does, heaven knows. So does the Upper East Side. So does Greenwich Village, and HDC has preservation alerts, bulletins. All of the above, and any gimmick you can think of. In spite of all, the modern improvements that I have shied away from—a thirty-seven-cent stamp still works [laughs]. Postal delivery is not that bad, in Manhattan at least. Taylor: The next day. I mean, emails almost languor. Q1: Let’s go back to the issue you mentioned earlier, which is the oversight hearing of the City Council, held on the Landmarks Commission last week. Many people—former Landmarks commissioners, people in this room, and various civic groups and grassroots community organizations throughout the city—people have said that they never, in all their experience with preservation in New York City, ever witnessed such a tension or disconnect between people in preservation communities and people at the commission. I wonder, what’s your take on that situation? Is there anything that we can be doing, as advocates, to rectify that situation? Taylor: Well, looking back on it, I can’t wait for the New York Preservation Archive Project to get underway, so it can—I can get rid of stuff like that [refers to documents]. I don’t know. Perhaps Dorothy Miner might be able to tell me if what I’m about to say is accurate. Well, just factually accurate. But I think every administration—if that’s the word, i.e., chairperson—at one time or another faces a mob scene like that, with fire in their eyes. Q1: So this isn’t the first time. Taylor: This certainly is not the first time. It may be the first time the City Council has been so outraged, perhaps, but here’s what started it all: “Remember Penn Station.” Here were people—this was 1963—getting people out to protest the only then proposed demolition of Penn Station. There they were, in their proper suits [laughs], holding up placards. This was a photograph of that time [refers to photograph]. In 1988—what’s that, sixteen years later—to call attention to yet another picketing event. In 1988, in which we were not in such immaculate costume, but we were out there again with the picketing. This was the proposal by Mayor [Edward I.] Koch, I think the heart of which was to meld the Landmarks Commission under the Planning Commission. Was that not that occasion? But it was some big event. Dorothy Miner: It was the proposal on the ability to calendar, but Landmarks would have to designate within the time if an owner wanted. It was the response to the ambush on [unclear]. Taylor: Yes. Right. Thank you for correcting me. One way or another, big events should elicit stuff like this. The oversight hearing last week at the City Council was another facet of that. I think, though, it’s time to take to the streets again, really, if things are really as bad as many people claim they are at the Commission. Q1: What, specifically, do you think the public protest mode accomplishes in terms of influencing the Commission, influencing the council? Taylor: Certainly, the press does. I even found myself on the radio over this Union Square thing. You grasp at every straw. Where the oversight hearing is going to go—does anyone know whether it will, indeed, be continued? Hundreds of us there—how many were there? A lot. Three hundred, two hundred? Some in the next room, where they couldn’t even—right. Where there was nothing piped in of the goings-on in the main room, and people down in the lobby not being admitted because of the occupancy limit. There are a lot of people out there, and, of course, we know who promoted all this. More power to them. I think we really have to get back to the day of screaming, in whatever medium we can scream most with or in. Certainly, the press—I mean, I still read a daily newspaper. I don’t know if anybody else does. I can’t rely on email, and not much on television, either. It’s still the print medium, and the air waves, if possible. Q1: Getting back to an earlier question—maybe that’s the special role of the advocate. That they can raise the noise level to a point where something has to give. Does it open the door for other people to slip in and make for real change? Is it cover for them, or is it the advocates themselves who are promoting the change? How has it worked, in your experience. Have you been at the table when the solution is hammered out? Taylor: No, I can’t really say I have. Q1: Would you like to have been there? Would it have been a better outcome if you had been? Taylor: I leave that to people who are better versed in politics than I am, because that’s another thing it all boils down to, anyway. Certainly, the politics of the Lüchow’s situation, and the politics of the Dvorak House were the deciding factor. Much as we did get the word out, I think. On the other hand, there are success stories, like the Upper West Side, and Ladies’ Mile [Historic District], thanks to people like Ed, and Christabel, and Peg Moore, and countless people. It just seems something that—in spite of resistance, a lot, by the real-estate people, and even by, I might say, one of the local community boards, if you feel community boards have any clout at all. Yet, like every victory in an area designation, at least, a historic district, they leave something out. So the whole damn thing is regenerated years later, and we have efforts like extensions to districts. I think in the case of Ladies’ Mile, they cut out everything we wanted below 14th Street, down Broadway to Eighth Street. They even made a dreadful map error in a building on the western fringe of Ladies’ Mile, in the district. They left part of a building out. We’ve been trying to get it put back in for three years now. Our press on that hasn’t been good enough. Q1: It seems like even within advocacy, there are different roles to be played. There are the protesters, there are letter writers, there are manifesto writers, there are people with press savvy, there are people who are politicians. Sometimes people are good at more than one thing, but it seems like it takes that collaboration within advocacy to cover all the bases. It’s not just one thing that can do it. Taylor: The elected officials are more important than I ever thought. HDC has a City Council outreach task force, which is slowly trying to educate the council members on what it is we do and why. Most of them, I’m sorry to say, are woefully ignorant on that. But HDC, and others who are still advocates, or performing as advocates, anyway, are exceedingly helpful at that. Q1: Do I have time for one more question? Q1: Okay. I just wanted to get back to an observation that I remember you made in a conversation that we had a little while ago. I’m going to bring it back to haunt you. Taylor: What did I say? Q1: It was interesting to me, because I’m someone who decided early on, relatively early on in my life, that preservation was something I wanted to make a career out of. I went to Columbia’s [University] Historic Preservation Program, so I am what you would consider a trained, professional preservationist. I’m not a volunteer—I’m a paid staff person whose job is to be an advocate. You had observed that the increasing professionalization of preservation seemed to you to maybe be creating a bureaucracy of sorts? Q1: Yes. You weren’t so sure that that was necessarily good for the preservation movement. I wonder if you can kind of think back on that, and if it’s something—if I misinterpreted what you said, I won’t take offense. I just think it’s important, because we are at a stage where there are people out there—like HDC, like Landmark West!—that have paid, professional staffs, that do the work that was previously done by full-time, devoted volunteers. Does that change the nature of advocacy, and if so, is it for the better, for the worse? Are there things we should be doing to try to reclaim some of the energy and passion that there used to be? Or—what’s going on? Taylor: Well, one thing—I may have said that, and I don’t know exactly how I’m going to justify it. But one thing I’ve not said here, and should have, is that the preservation movement is overweighted by sages now, and what we need are young people like you, and a few others in this room, to carry on. Now if they’re carrying it on and making money at it as well, so much the better. I guess any facet of society that gets really organized produces a pressure group of some sort. What phrase did I use? Q1: The word bureaucracy in and of itself kind of implies that it’s a slower process. It’s maybe not as nimble as it was in the past. Which is certainly something to be aware of. But I think, in the end, there’s no substitute for the average guy or gal, who has nothing to gain from it, has no conflict of interest. We can’t say that of the architects, or the so-called historic preservation consultants. Some of them, that is—before I get in really deep [laughs]. In the end, it’s still the great, unwashed public that has an affection for our heritage. Is that putting it too grandly? Q2: It’s fine, Jack, but we have to stop there, because it’s time to put in a new tape. First of all, we’re thanking you for this. We’ll go to a question-and-answer period, with questions raised by the audience. Thank you very much. Q2: Okay. We’re now in the second and last part of our session. This is to ask you to please ask questions of Kate and mostly, of course, Jack, that would fit in with his efforts on advocacy. Where advocacy has gone—as Kate so beautifully probed to find out, where do we go with this advocacy issue? So, are there any questions that we can address? Lisa Ackerman: I have two questions—one that I’m going to address to you, Thom, because you really can’t escape this, even though you’re just supposed to be moderating. I think my question to Kate is, as preservation has changed a great deal, and Landmark West! has evolved from being a kind of one-person organization with a lot of volunteers to now being a professionally run organization, with your 2 Columbus Circle work, you’ve had a variety of kinds of press coverage. I wonder if you could comment at all about the changes in the types of press coverage. You’ve had articles in the [New York Times] “Styles” section, you guys had a party last spring. How does that change the dynamic, and does that change the effectiveness? Then my question to Thom is—thinking about the kind of trail that has been blazed by people like Jack and people who were in the trenches, and are still in the trenches, and thinking about Harlem and the particular problem of Harlem churches now. I remember efforts just to get buildings illuminated. How you see the advocacy efforts having changed over time, and where we are, perhaps, missing some efforts in some communities. Q2: You go first [laughs]. Q1: I came in midway with 2 Columbus Circle, because it was already a big issue when I started Landmark West!. As I said, it’s a creative process, and you’re trying lots of different things. One of the things that Landmark West! has tried to do at 2 Columbus Circle, feeling that it is such an important building and technically, not even on the Upper West Side. We needed to really emphasize the coalition of group people from different walks of life, who really cared about this building. That it wasn’t just a hot spot that Landmark West! was the only driving force in. We tried to let those constituencies speak for themselves, and not have it perceived as so driven by just our organization. We’ve done a lot of leg work, but I think that, in spirit, we’ve had a lot of support from other groups—from the district council and even, I think it was, a bungalows group signed onto the silent majority, with its supporters. The press has kind of evolved out of that. I remember sitting down with you at one point, Lisa [Ackerman], talking about ideas for getting press. Talking about getting Hell’s Angels to ride around Columbus Circle, waving banners, just going to extremes like that. Q2: That’s not an extreme [laughs]. Q1: Leading the pack, right? But just to emphasize that this wasn’t just a one-man—that Landmark West! is no longer a one-person organization. The issue is not a one-organization fight, but very broad-based. Q2: Let me answer your question. I’m very glad you raised that issue because I think many historic districts have churches within the district that should be illuminated. The structure is magnificent. Many of them go back, knowing Harlem, to around 1883, 1880. These buildings are gothic in structure, for the most part, and we did want to illuminate several of them. Because we couldn’t raise the money, and there were other issues, like roofs that needed to be repaired, I know—I was born in Harlem, and I grew up in the parish. I still go to church. I drive up every Sunday to go to church. Finally, when we couldn’t raise the money outside, we started a drive inside the church. I’m very proud of the fact that our church is now illuminated. Several churches on Seventh Avenue are illuminated, and I think, if I’m not mistaken, the [New York] Landmarks Conservancy has a program to illuminate churches on Lenox Avenue. I think this helps to get people thinking more about what it means to have a significant block, a significant area. It brings pride, and they can look up and say, “Gee, that looks really nice.” There was talk, initially, that the neighbors would be offended, having light blasting in their rooms and apartments. That never happened, because it was done tastefully, and it’s just beautiful. I think people should drive up and take a look at some of these churches. In the evenings it’s really quite lovely. Having said that, are there any other questions, so we can—yes, ma’am. You. Teri Slater: I just wanted to say that having Jack around is like having Jiminy Cricket on your shoulder [laughs]. You’re constantly listening to this refrain, “Aren’t we going to object to this? What? You’re not going to testify? Aren’t you going to be there?” Some people might be easily discouraged, or lazy, or apathetic, or whatever—all of the above—but he is this galvanizing force sometimes, that gets us to do things. For those of you in the room who might get involved, hopefully involved, in campaigns to save some precious, historic resource, somewhere in New York or other places, that’s really what you have to do. What Jack does, in a nutshell: cajole, harass, needle, encourage people to do what they don’t want to do most. That is write a letter—unless it’s spelled out for them—or even put a stamp on an envelope, in some cases. It’s a very discouraging process, I must say, and Jack very rarely gets discouraged. I have tremendous admiration for him. He’s been a member of the public review committee of the Historic Districts Council for many, many years, and he’s one of the most valued members, and we just love him. Taylor: Very good. Thank you. Teri Slater: This is a strategy question, which I open up to Jack, and Thom also. Which is—we always talk about press conferences, and we also harken back to the grand old days of press conferences which were fantastic, and really kind of lobbed the question out. Now I’ve been involved in a few press conferences, and the question really is what makes—you can have a press conference and no press comes. It becomes more of a tree falls in the forest. Yet, at the same time, I’ve seen press conferences where no press comes, where we actually manage to be successful again by claiming that press came, and then selling it to the press [laughs]. So is the press conference a thing of the past? Is it a stage set? What is the use of such a thing? Because they’re a lot of effort to put together. What’s your feeling on the usefulness of that specific tactic? Taylor: As they say, that’s a good question. I think it’s always valuable to have the steps of [New York] City Hall behind you. 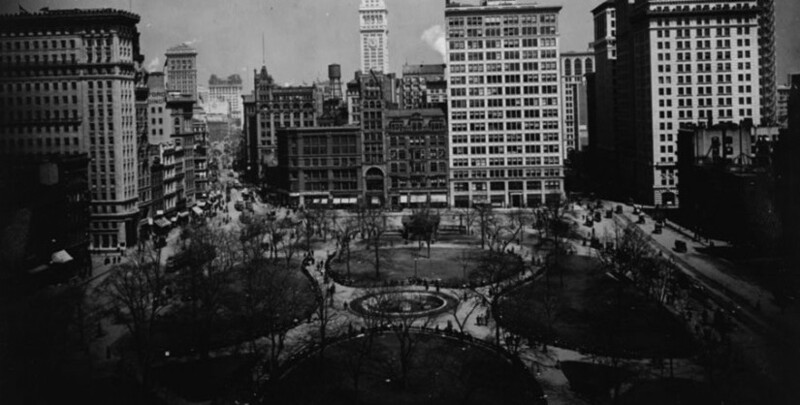 But I tend, with Union Square in my heritage, to think that a real outpouring of just guys and gals, holding placards and screaming, without automatic stuff—you know, the loudspeaker bit. You have to get a permit for that and a park, I’ve learned. I think press conferences may have their function and benefit, but stuff like this is much more effective, and, I’m sure, even harder to maneuver than a press conference, provided it gets press. Does that answer you? Q2: I had a similar experience. We at Landmarks Harlem, back in 1991, we were successful in getting the National Trust [for Historic Preservation] to recognize the fact that a treasure in Harlem, the cornices, was being destroyed. The people were taking down cornices because they thought they heard the fire department say they shouldn’t be there, because if a fire occurred in the building the cherry-picker would go up and it would press against it, and the fireman could be injured. People were voluntarily taking down cornices, which we stopped. Then the National Trust came along, and we saw entire blocks of apartment buildings where there was not even one cornice left. So we had a press conference, and while they did come, they didn’t think it significant enough to publish it, to talk about it in the paper. That was 1991. It has just been within the last year that the New York Times decided, “You know, that really is a good issue.” They got in touch with me, and we spent the entire day—and I took them on a windshield survey of Harlem, showing them the destruction of cornices. Well, the editor of that section, the [New York Times] Metro Section, was impressed with it. But when it went to press the point that we wanted to make, they did not come out. It was more commentary than a call to action. Press conferences have their—I think Jack hit the nail right on the head. You’ve got to have pickets and placards and get out there and shout and holler. Q1: It helps to have a schedule of the comings and goings of the mayor, too [laughs]. We got lucky with the 2 Columbus Circle one last year. Q2: Are there any other questions? Yes, ma’am. Melissa Baldock: I have a question. One aspect of preservation advocacy I’ve always thought was education, education of the general public [unclear]. Making the common person aware of not just a particular building, but the need to preserve the historic fabric of the city. I was wondering, first of all, if you thought that kind of education of the general public was as effective as advocating to elected officials, or celebrities, or people of that [unclear]. Also, how do you go about doing that? If it’s the press, or just reading a newspaper and—people read the New York Times, [unclear], [NY] Daily News or the [New York] Post or whatever. What other tools are there that you can sort of get the word out and change what people think? Taylor: I think most people—though they don’t know it, as I did not—are disposed to recognize their architectural and cultural heritage. It hits them personally sometimes, so they’re favorably inclined to help. Just whatever can be done to rally people, or to get people to help to rally, is the only really effective method I can think of. That’s probably not much help to you. I maybe didn’t say so at the start, but I do think what this movement needs is youth. There’s some of it here, but not enough. Kate mentioned her efforts to save the Coogan Building. Well, it was Kate, John Gerais [ph], Lawrence Flummer [ph], essentially, who tried to do that. All, not one foot in the grave like the rest of us. I was so struck by seeing these guys, whether they come from a preservation course—which I never too—or not, at least they were new. Fresh blood, like a lot of you. I know the efforts of some to include preservation in one school curriculum or another is probably a good way to go. I think that’s what this movement needs more than anything, so we’re not all portrayed as being sages. Q1: That’s what I think is so valuable about this project—the archive project. I was lucky enough to get involved in a project where I had new—Christabel, you were at every meeting I can remember, where we talked about the Coogan Building, and Ed [Kirland], you were there. It was really a joint effort. We had no idea where to even begin, except for the fact that you were there. I think that’s the purpose of projects like this, as well, so that there can be that passing on of information. Then at Landmark West!, we have our youth education project, with My Preservation Journal. That’s been an internal discussion, as to whether that’s really core to our mission. But again and again, we come back to, “Yes, absolutely.” You’re raising the next generation of preservationists, and hoping that it will become that much easier. Because, as you say, people are generally inclined to believe that something beautiful and historic should be saved. How does that fit into the other pushes and pulls of forces that are at play in places like New York City? Q2: Very good. Miss Dorothy. Dorothy Miner: Your mentioning the Coogan [Building] makes me think about the Dvorak [House]. Both cases where the Commission did designate, and it was then lost at the City Council. With, in the case of the Coogan, at least, no support from the Community Board the first time around. Do you think that advocacy by the preservation community needs to be different, whether it’s targeting the Landmarks Commission for action, or whether it’s targeting, in some cases, City Planning, and in others, the City Council map? Are there different actions that should be taken? Is it not just in local advocacy? Is there a different technique? Q: Yes, well, that’s what I’m saying. Is it a different job, between what you were doing before the community—I mean, the rallies to get the Commission to hear something—is it going to take a different methodology in order to get the community board and the city officials to act? Taylor: Well, I suppose it should, but to me it’s all part of the same club. You zero in on everybody you can think of. That includes community boards, elected officials, and the man in the street. That’s not very helpful, is it? But I don’t see any special technique in either. Edward Kirkland: If I can speak to it, because I have experience—if you get the rallies, if you get the people involved for preservation efforts, then the politicians will listen to you. But if you just go it alone, you don’t. There’s nothing that causes attention and that convinces a politician that it’s an issue worth pursuing is a very good thing, because these are not independent of each other. The trouble is, if you have a rally, then follow it up. Call the press, as he does. Call the politicians, and so on. It’s all part of one process, I think. Taylor: I saw, pretty much for the first time, the other day, a very respected elected official, who is running for re-election, specifically state, in campaign literature, historic preservation being one of the goals of campaigning. That, to me, is unusual, in campaign and fundraising literature. Audience Member: Is that Tony [unclear]? Taylor: He’s done it, I suppose. No, I was being parochial. It’s a Manhattan person. Audience Member: Was it Tom? Taylor: Is it okay? Okay. It’s an assemblywoman from Manhattan, Deborah [J.] Glick. Well, no, she’s a friend of preservation, but I’ve never seen it put so boldly, in campaign and fundraising material. Audience Member: When [C.] Virginia Fields was a councilperson, she used to put it in. Taylor: Did she? I was too young to vote then [laughs]. Q2: Are there any other questions, before we wind up and finish this? Well, I think it’s close to 5:30 P.M. and we’ve met our deadline. I want to thank you all. Jack, most importantly, you and Kate, for that wonderful, wonderful presentation. This will certainly help, I’m sure, the [New York Preservation] Archive Project, in its efforts to get all you sages—I guess I’m one of them, at this point. But thank you, and I know there’s another meeting next week.